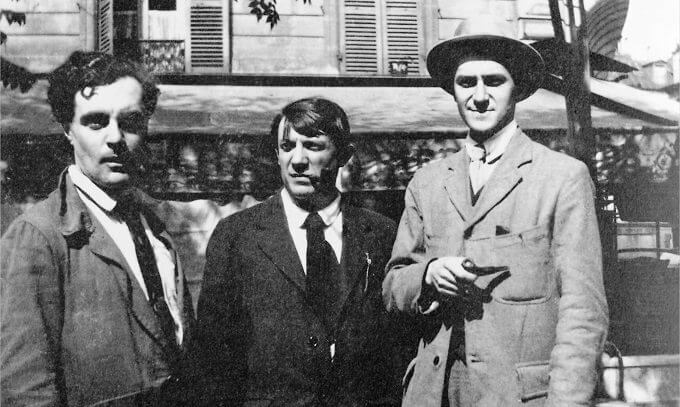 Amedeo Modigliani and Picasso certainly knew each other well, having met when Modigliani first went to Paris in 1906 and lived in Le Bateau-Lavoir artistic community, where Picasso also had a studio and was working on works such as Les Demoiselles d'Avignon. As well as sitting for Modigliani, Picasso owned several works by him, including Girl with Brown Hair, dating from 1918, which is being lent to the Royal Academy by the Musée Picasso in Paris. The Picasso portrait by Modigliani, which was owned by Picasso at one point in the 1930s, is being lent from a private collection. Both artists shared an interest in African art, which influenced their respective work. Picasso is reported to have once said that Modigliani was the only man who knew how to dress and he tried to help him get a dealer. But it appears they drifted apart. "From what one knows, it seems that after a while Picasso found him a bit tedious, with all the drinking and the drugs. He didn't approve of his lifestyle very much." Modigliani was not part of Picasso's inner circle. Picasso, who affected a workingman's look with his patched clothes and fisherman's sweaters, seems to have admired Modigliani's wardrobe more than his paintings; needing canvas, he once painted over a Modigliani work he had acquired. Modigliani, for his part, recognized the Spaniard's genius but told a friend that artistic talent was no excuse for not dressing decently.